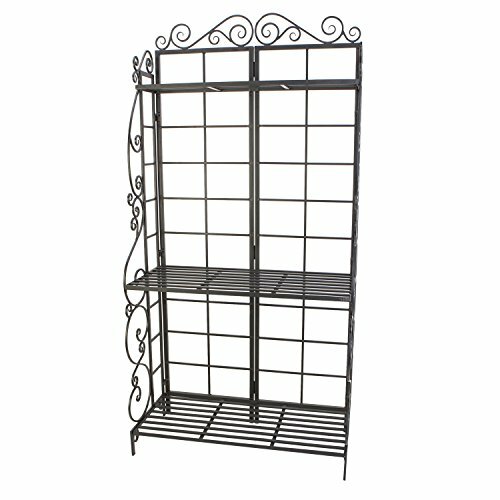 This bakers rack has four shelves which create storage or display room for several potted plants and garden ornaments. The two bottom shelves are 16 Inches wide, for larger pots or tools, while the third shelf, at 12.5 Inches wide, can accommodate items 11 Inches or smaller in diameter. The 9.25 Inches wide top shelf holds small pots, while its unobstructed top allows your plants to grow tall.